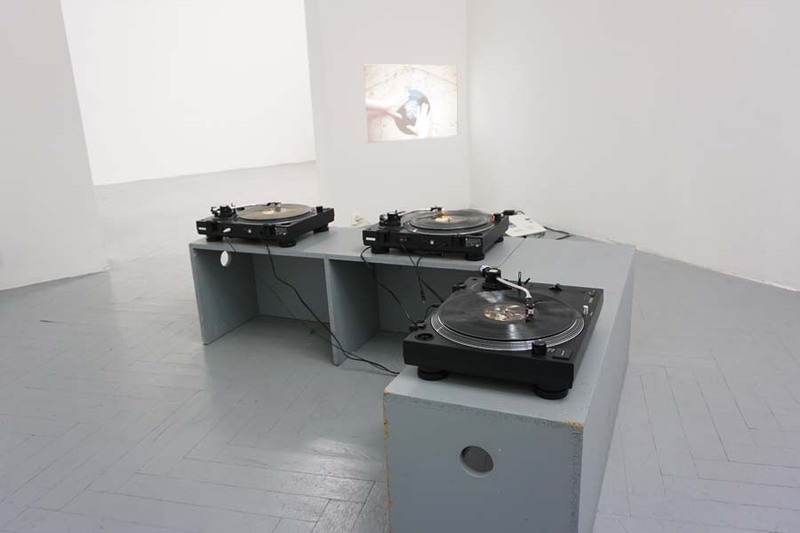 Twelve LP records are presented in the exhibition space, available for playback on three turntables. 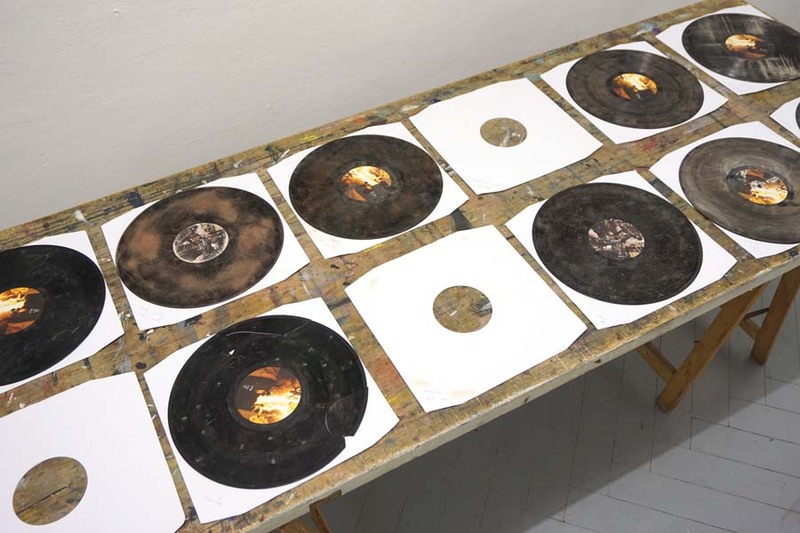 The LPs are faulty copies of Aubry’s latest music publication “and who sees the mystery” on Corvo records, which have been further processed during a residency in Tighmert, an oasis in the south-west of Morocco. 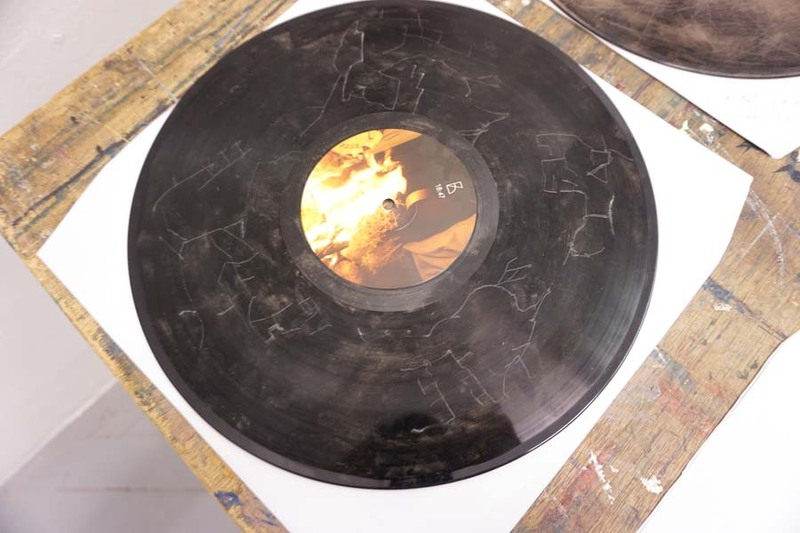 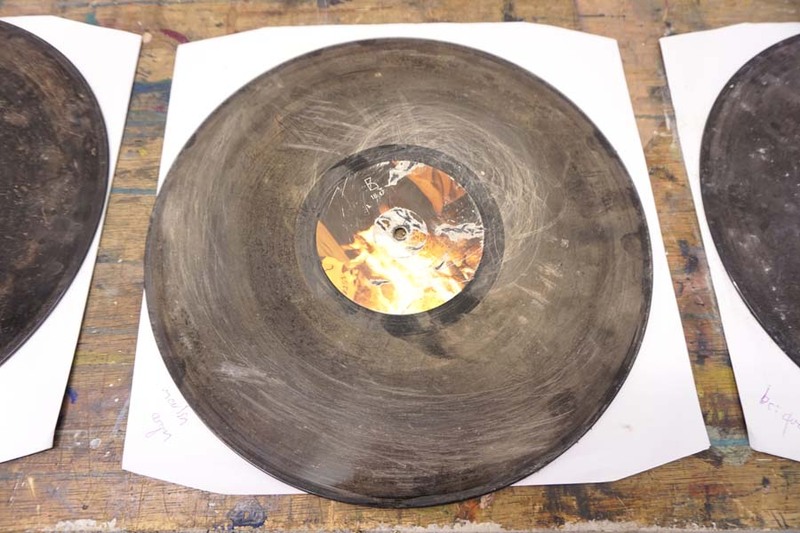 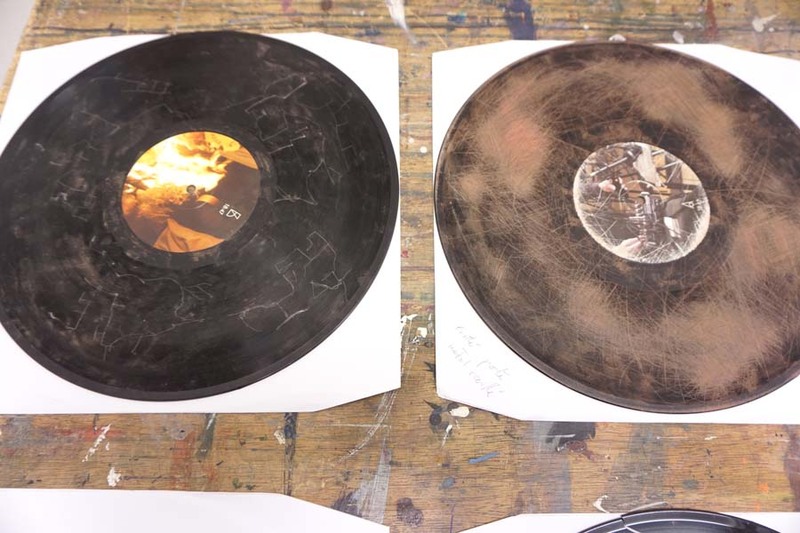 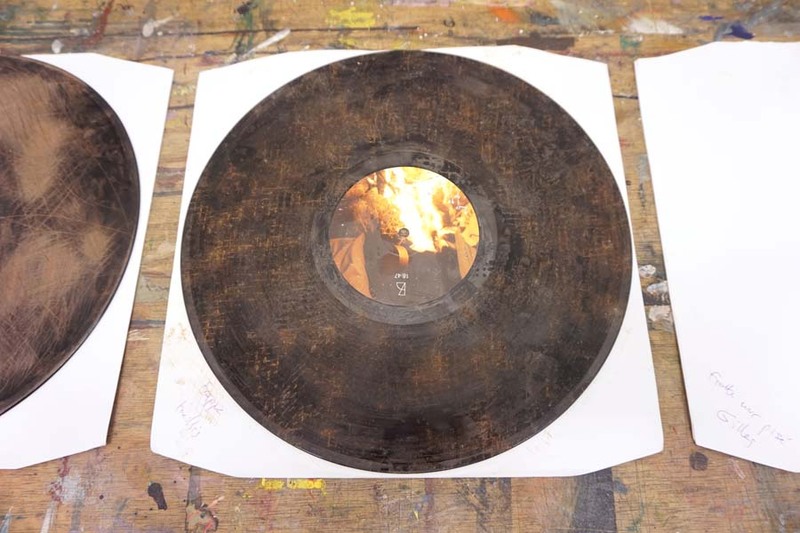 While the audio content on the original record is made of electroacoustic experiments with sound-check recordings of traditional Berber-Amazigh music instruments, the record surfaces have been physically altered by using found objects in the oasis in collaboration with several moroccan artists. 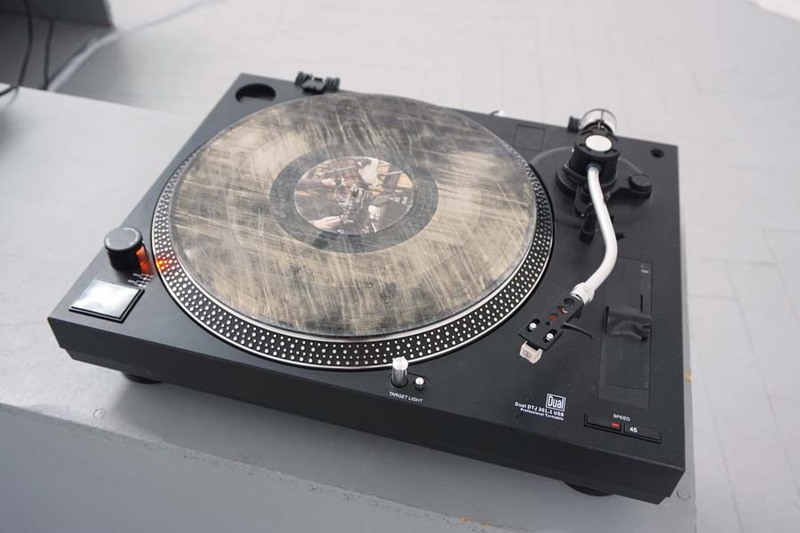 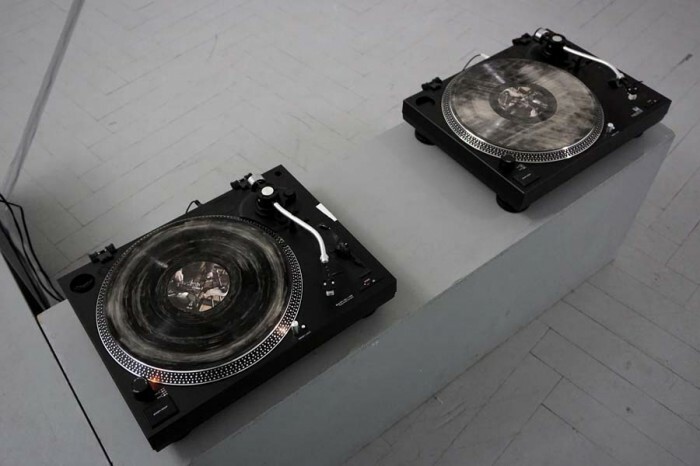 Each record has become a unique sound object bearing the material traces of the manipulations by the artists, which are also documented in the installation through a series of photographs. 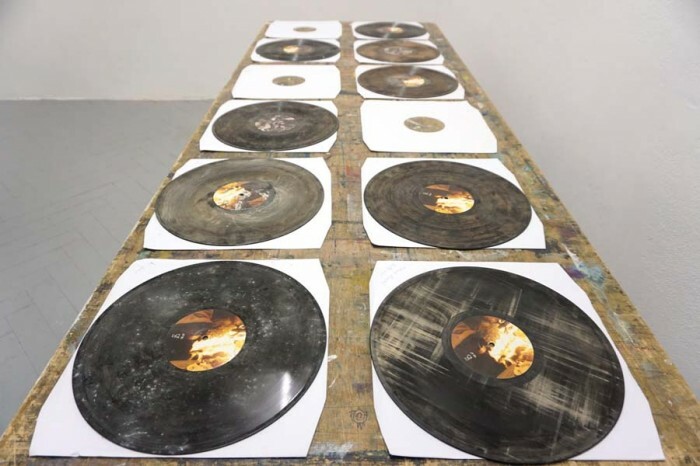 By returning the records to Morocco after their industrial manufacturing in Germany, the work questions the circulation of, access to, and authorship of cultural goods in the global context of cultural extraction, folklorization and commodification. 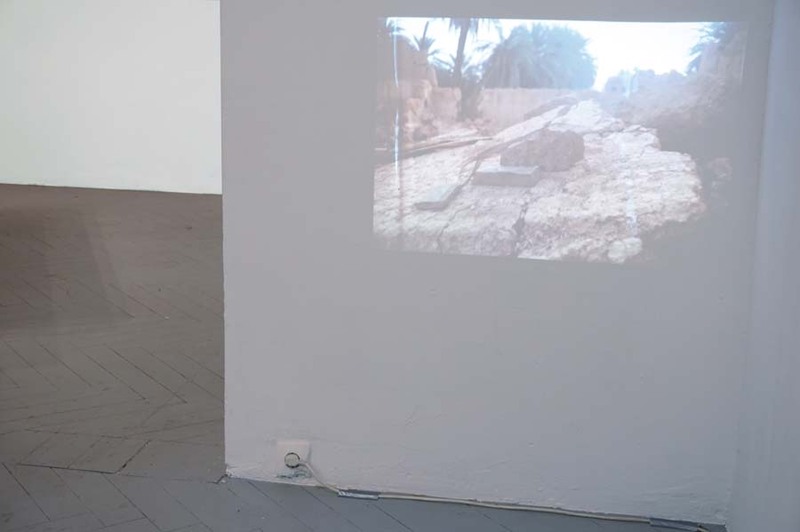 With artistic contributions by: Mohamed Arejdal, M’barek Bouhchichi, Dounia Fikri and Lotfi Souidi.